For the development and manufacturing of our high-tech medical products, we need skilled workers in a wide variety of areas, and we train them ourselves. Start your career at Olympus and help shape the future of medical technology! It is good to take the first steps of your career in a place where you can learn a lot. Find the job that suits you in a pupil internship and lay the foundation for a successful career with an apprenticeship with us. Olympus offers the variety of a company that is looking forward – just like you. Industrial Mechanic or Cutting Machine Operator, Informatics or Industrial Clerks? If you are curious, open and want to help shape the future of medical technology, you are at the right place here with us. Choose the job that suits you best and become part of our international team. For those who are enthusiastic about technology, are technically skilled and enjoy precision work. 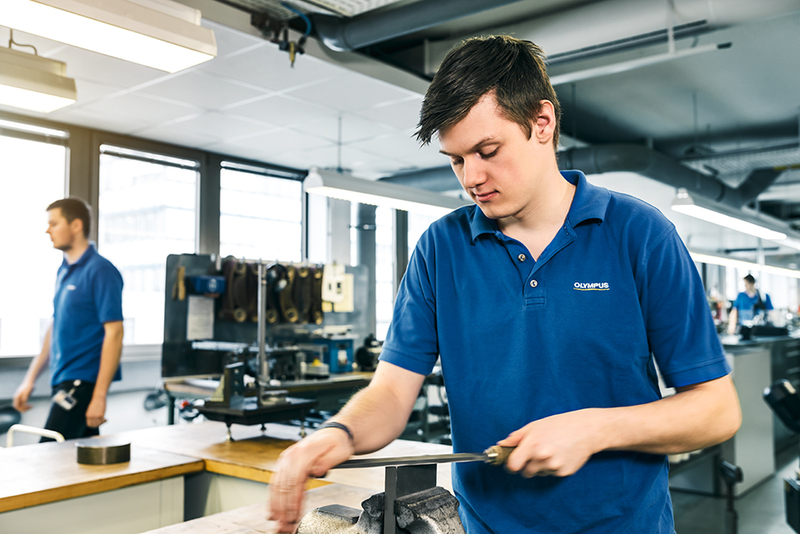 Right at the start of a 3.5-year apprenticeship we teach you the basics of metalworking and control technology. With the necessary know-how, you will be able to make equipment and tools, build prototypes, assemble medical instruments and process complete production orders little by little on your own. Our medical technology has to be precise to the exact micrometer. During the course of a 3.5-year apprenticeship, you will learn how the individual components are cut, turned and polished precisely. Later you will plan and organize cutting processes, set up production systems and monitor the production process. 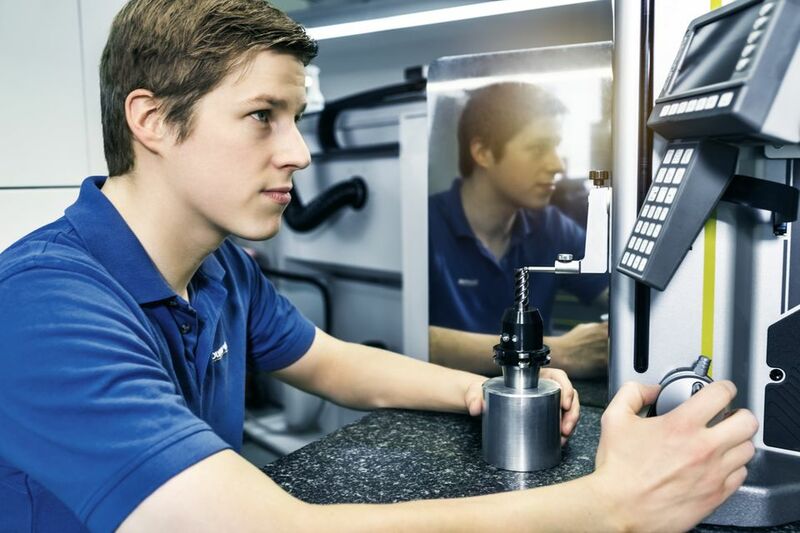 Our apprenticeship for cutting machine operator has won several awards! Right at the start of a 2-year apprenticeship we teach you the basics of metalworking. With the necessary know-how, you will be able to make workpieces from different materials and assemble medical instruments little by little on your own. For generalists and computer enthusiasts that enjoy calculating and organizing. During your 3-year apprenticeship, you will be right in the middle of things from the very start. First you will learn the entire manufacturing process of our medical instruments. Next we will teach you the necessary business knowledge for the different departments such as logistics, purchasing, financial accounting, quality management or business management. Last but not least, this is another example of our award−winning apprenticeships! 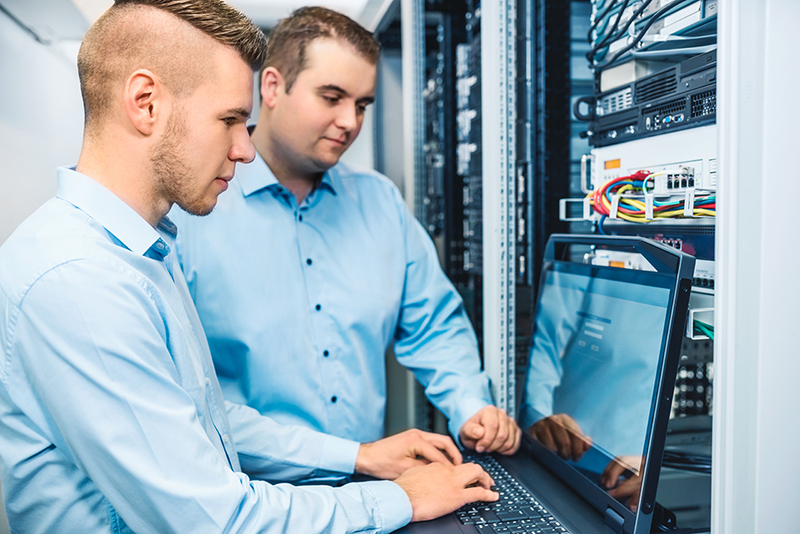 In your 3-year apprenticeship, in addition to the commercial background, you will also learn about common IT systems and the basics of programming in detail. Later you will put your new knowledge to practice, will analyze errors in hardware and software and will configure our IT systems. What happens after your apprenticeship? Direct to practical experience or use the knowledge acquired for further studies? You have many options. 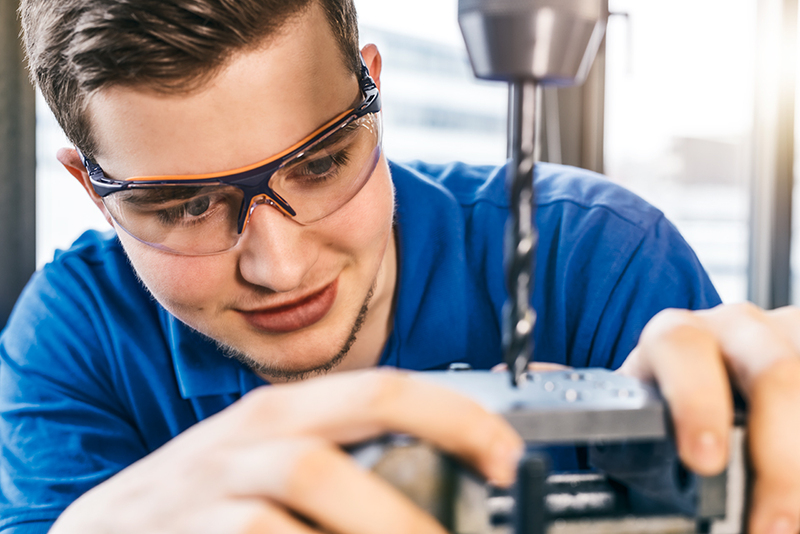 After they have completed their apprenticeship, we usually offer our apprentices a fixed-term employment contract that can turn into a permanent position after 12 months. 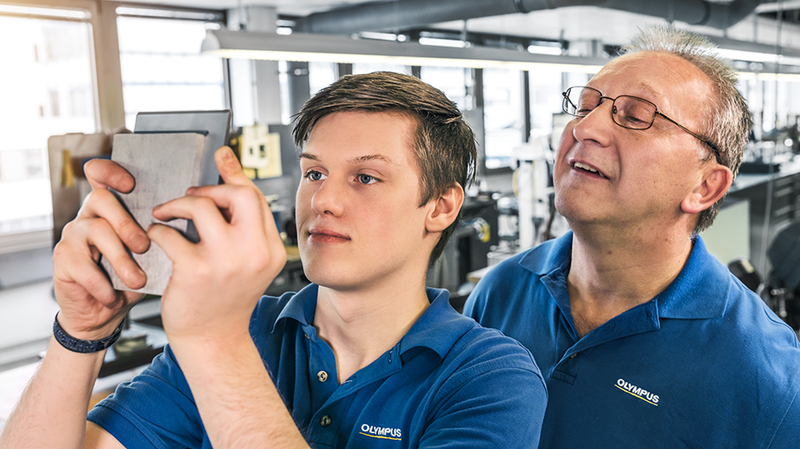 Many apprentices also continue their studies after their apprenticeship. While you are studying, you can work for us as a working student, complete an internship, do your thesis work or start your career. We are not the only ones impressed by the quality of our apprentices. We are also consistently receiving external recognition for the quality of our apprenticeships. This recognition comes in the form of awards – not only for our apprentices, but also for trainers and the company as training organization. It was clear to me from a young age that I wanted to learn something technical. 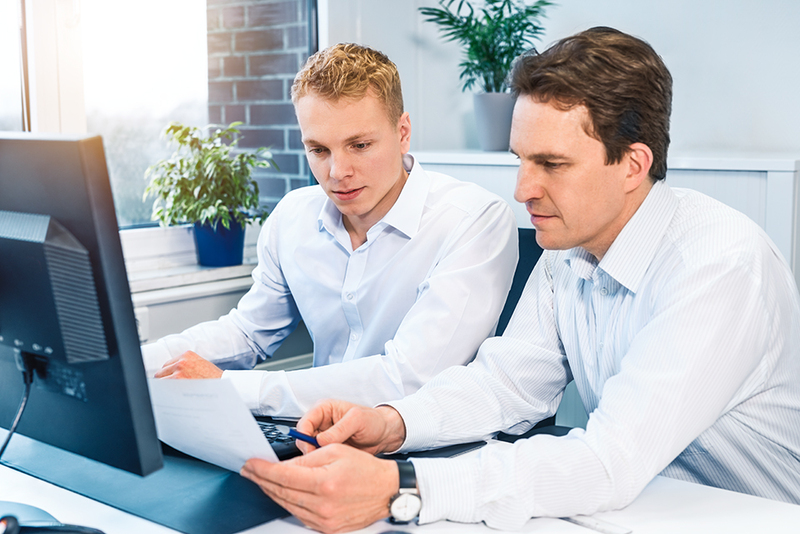 Pupil internship and a multistage application process: Before you start your apprenticeship, it is important for us that you know what to expect with us – and for us to know what we can expect of you. While you are still at school, you can take a first look behind our scenes. We want to encourage your interest in medical technology and show you the career opportunities – in a pupil internship, for example. We offer pupil internships mainly in technical areas. In addition to having 1–3 weeks of time, you should also have a passion for technology. In turn, you will have an ideal opportunity to learn about different occupations and discover which apprenticeship suits you. In the application process for our apprenticeships, we also place great importance on getting to know each other and on the question of whether you fit into the team. The preselection after your application is followed by a selection test and practical exercises. Next you will be introduced to your training area and future colleagues in a tryout internship. At the conclusion, we will then discuss our mutual expectations with you in a personal interview. What will be required of you as an applicant will vary from apprenticeship to apprenticeship. What is important for us in any case is that you are interested in technology, are curious and open – and that you are willing to discover new perspectives and think outside the box. At the apprentice day, I saw the apprentices doing practical work and not just learning theory. As diverse as our apprenticeships are, as an apprentice with us, you will be integrated into the department so that you will be in a position to work on your own right away. You will have the support of your mentor and colleagues, and will work closely with other apprentices. Apprenticeships with us mean a combination of theory and the ability to apply the theory in a really practical way. For this reason, we attach great importance to the apprentices being integrated in the departments right away and working together in the daily business as directly as possible. Having own projects encourages you to work independently. 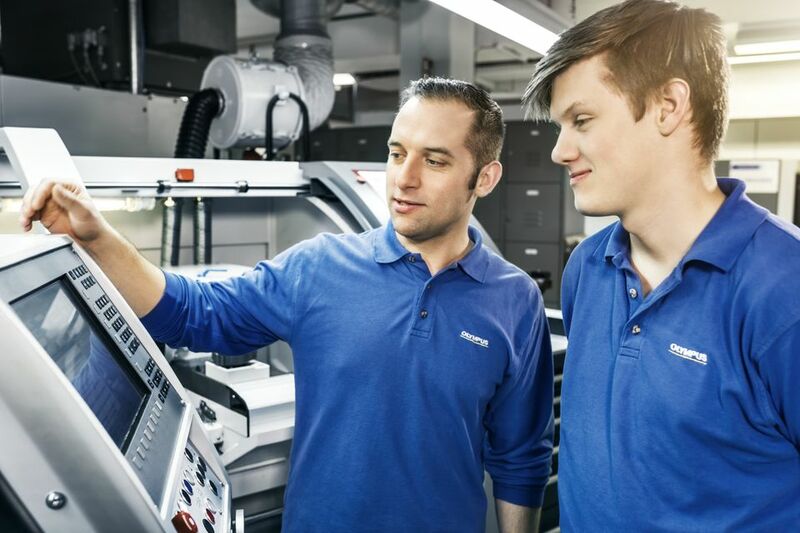 But we never leave our apprentices alone – a permanent mentor will always be available for questions. In order to broaden your perspective and offer you insight into the entire company, every apprenticeship also includes assignments in other departments and at other locations. Every new apprenticeship year starts with an exciting team event to allow “new” and “old” apprentices to meet so that they can support each other. In activities together outside the work environment – whether cooking, mountain climbing or dragon boating – our apprentices are given the opportunity to get to know each other better in a more relaxed atmosphere.